Bandai Namco has launched the official website for their upcoming Nintendo 3DS game, Digimon Universe: Appli Monsters Cyber Arena. Appli Monsters follows the fictional world where digital monsters called “Appli Monsters” live in smartphone apps. These “Appmon” (for short) are found in every app. This allows plenty of them to be found. 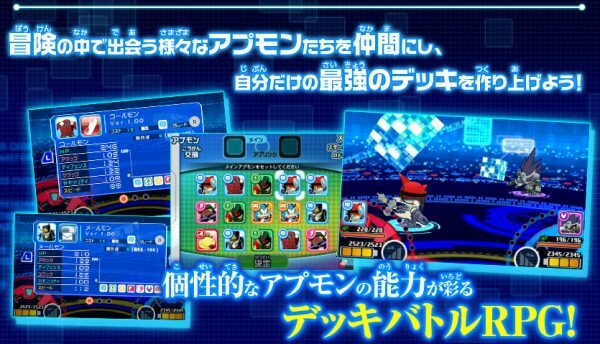 Players will be able to build decks of Appmon. The battles will play like a classic-RPG fight using the abilities on the cards. Additionally, trading QR codes is encouraged to grow your decks and collect more. Players will be able to fuse Appmon to create new ones with stronger abilities. 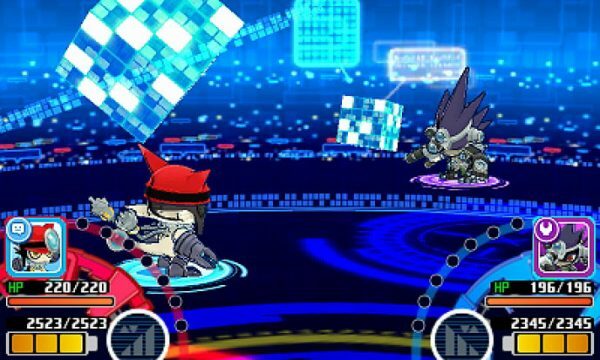 Digimon Universe: Appli Monsters Cyber Arena is coming to the Nintendo 3DS-via eShop at a later date.